This kind of worked but also... no. 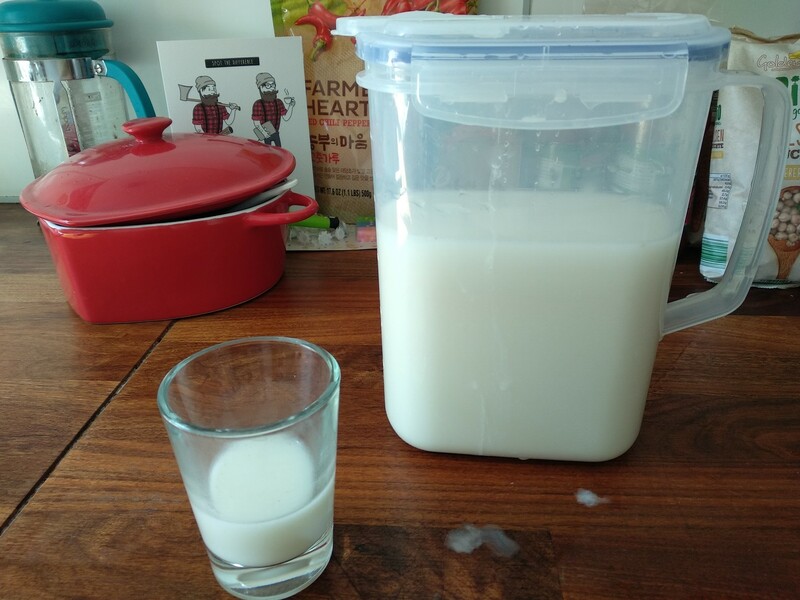 Compared to store bought no-sugar-added oat milk, mine is too thin and not sweet enough. 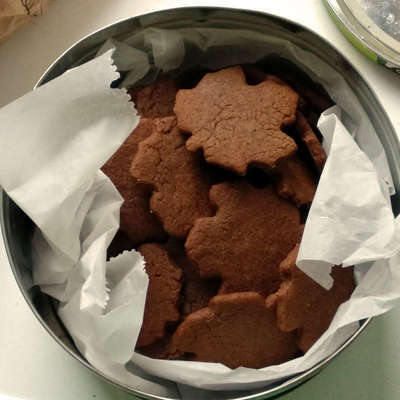 The store bought one has added oil and salt and that night help... but how to incorporate that? For the sweetness I think I could roast or cook the oats? My blender was pathetic and probably didn&apos;t draw out enough protein from the oats. Interesting experiment but I think my tools and skills failed me. This is cool... Vzyme is transglutaminase, an enzyme that you can use to curdle plant milks, to make vegan cheese. Transglutaminase is also "meat glue" but I like it better as a vegan cheese coagulant. 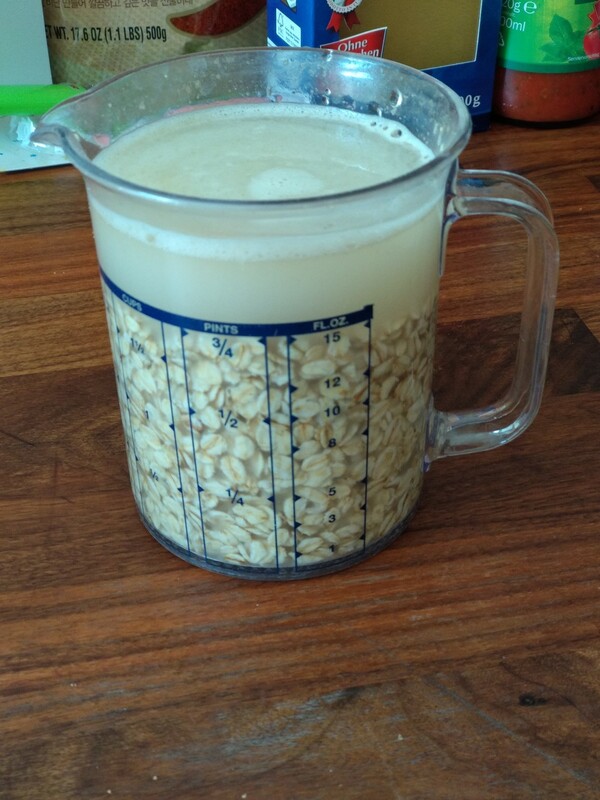 Soak 1 cup rolled oats in water for at least 1/2 hour. Blend oats with 4 cups water. Press through cheesecloth or nut milk bag. Will report in later with results. 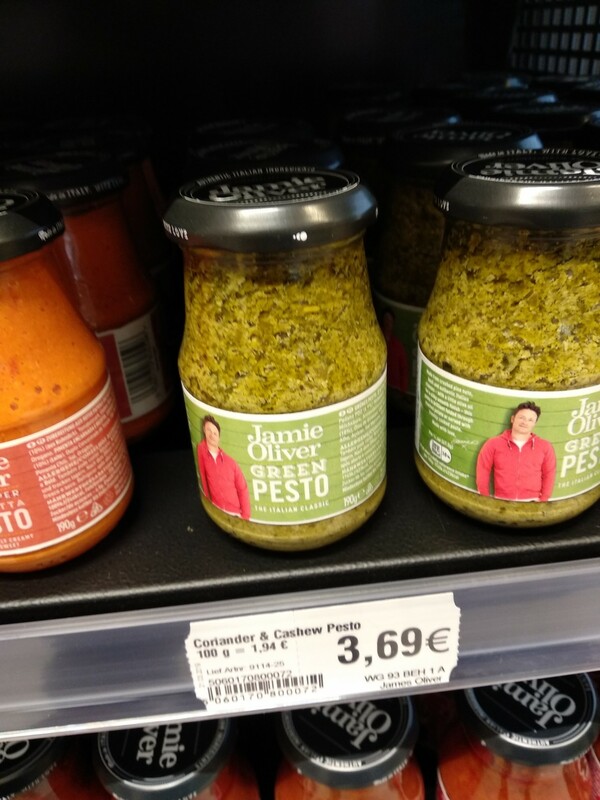 Hey "brexpats" in Berlin: a new supermarket opened on Ku'damm near Lehninerplatz. It's called Sheriff's and seems to stock a lot of British stuff. I picked up some Walker's oat cakes and Chivers marmelade. An interesting place. 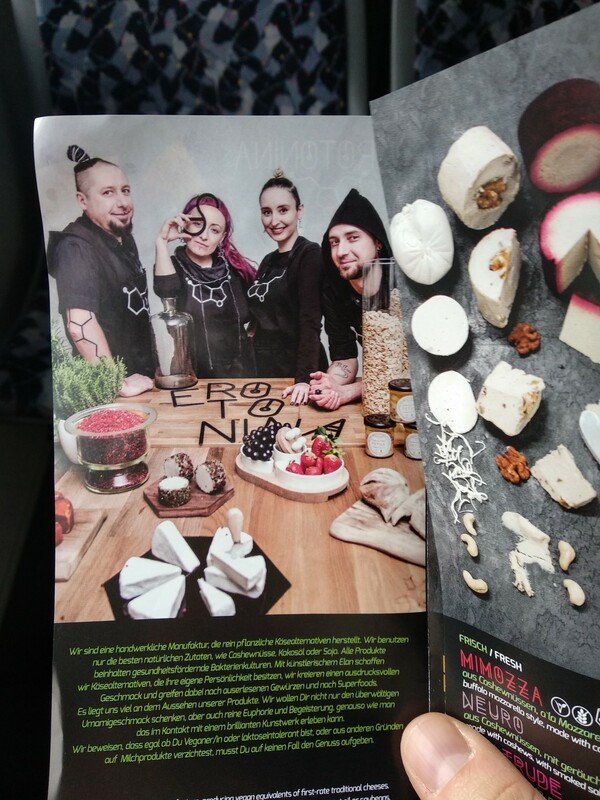 In the Vegan cheese front, I was completely amazed by vegan cheese made by Polish cyberpunk ravers. 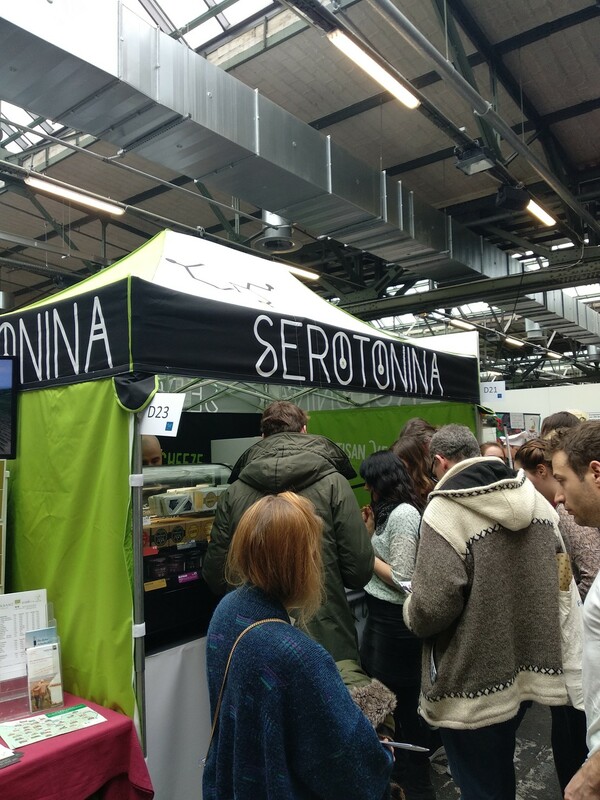 Serotonina cheese has a deep, complex taste and a smooth texture. The Brie-like one was great. This was the first time I ever enjoyed a fermented nut cheese and now I see so many flavor possibilities in the future. 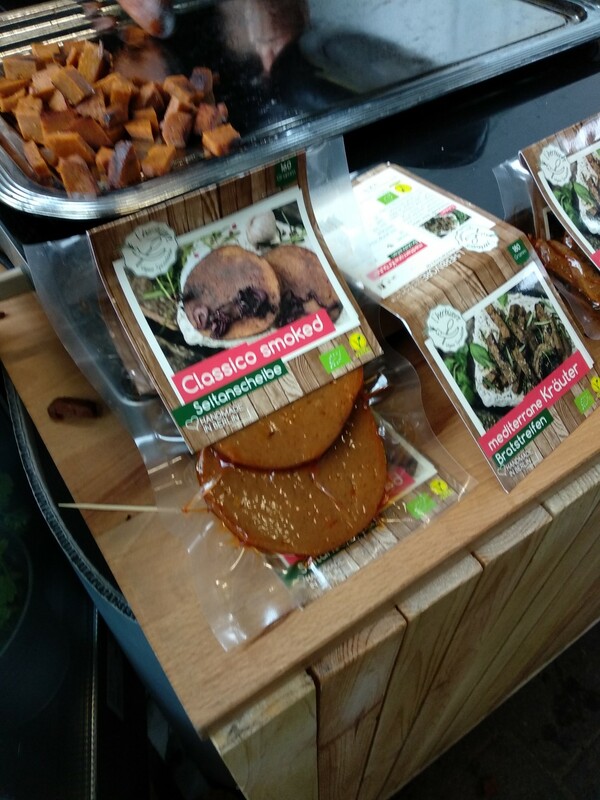 Another Seitan based fake meat with liquid smoke flavor. A very good balance, here, and the texture is dense and not too spongey. World definitely use this in stir fry. Mostly made of seitan, a careful addition of liquid smoke covered some of the mild bitterness that seems to hide in a lot of Vegan meat substitutes. The texture is quite good, and the sausage skin fries up appropriately crispy. I think this brand is often found at Black Netto. Bonus points for accessibility. This is sunflower seeds that are processed into pure protein then puffed like rice crispies. Added to a sauce they get the texture of ground beef. The texture is pretty decent and it&apos;s a nice way to add protein to a sauce, but the flavor is slightly bitter, if you can taste it at all. Most sauces taste better if you just omit this stuff. 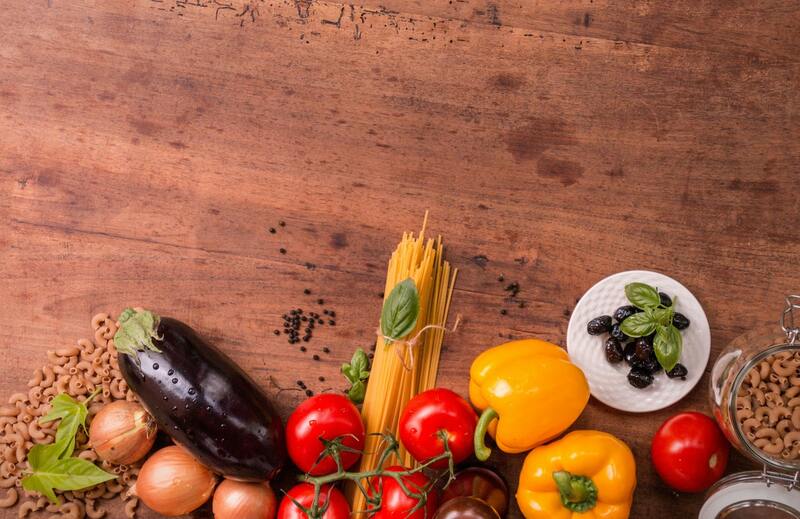 I think I&apos;ve tried all the vegan meat substitutes here so I&apos;ll give you the rundown. Starting with the worst... Veghahn. 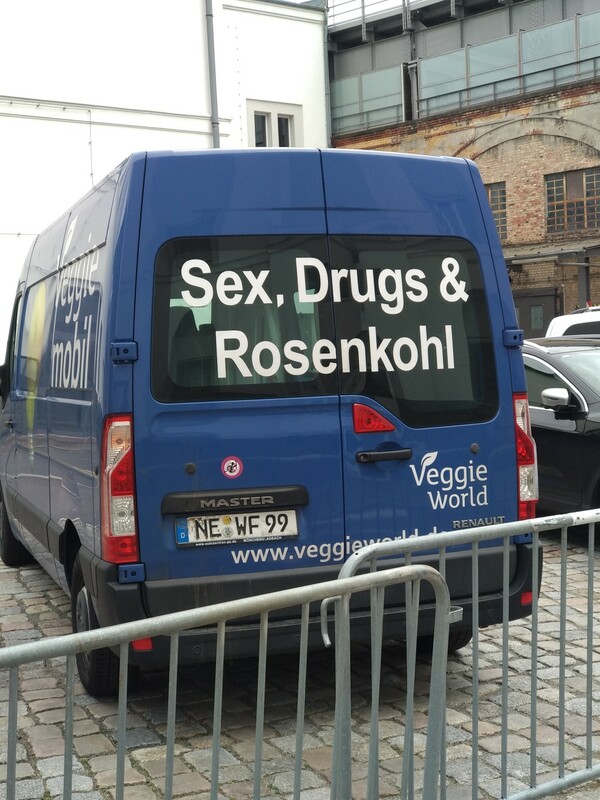 It&apos;s a German portmanteau of Vegan and Hahn (chicken). Made entirely of Jackfruit it visually looks like chicken when fried, but also kind of fibrous like... cancerous flesh. The texture is rubbery and only like chicken if the chicken is uncooked. A bit gelatinous. The taste is bitter and not particularly meaty. This was quite terrible. It occurs to me that I&apos;m exploring this vegan trade show while wearing a wool jacket. Despite obviously being an outsider everyone is very nice. Coming to you live from the happiest (?) 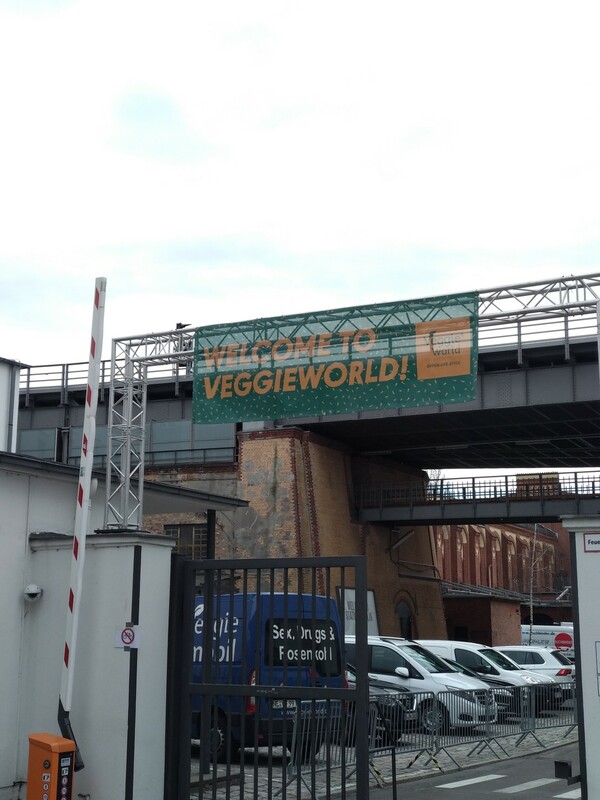 Place on earth: VeggieWorld! My mission today is to taste every brand of fake meat. I&apos;ll keep you updated. Okay correction: most other beans require additional starch added to tofu-ize. Apparently soy beans are special. 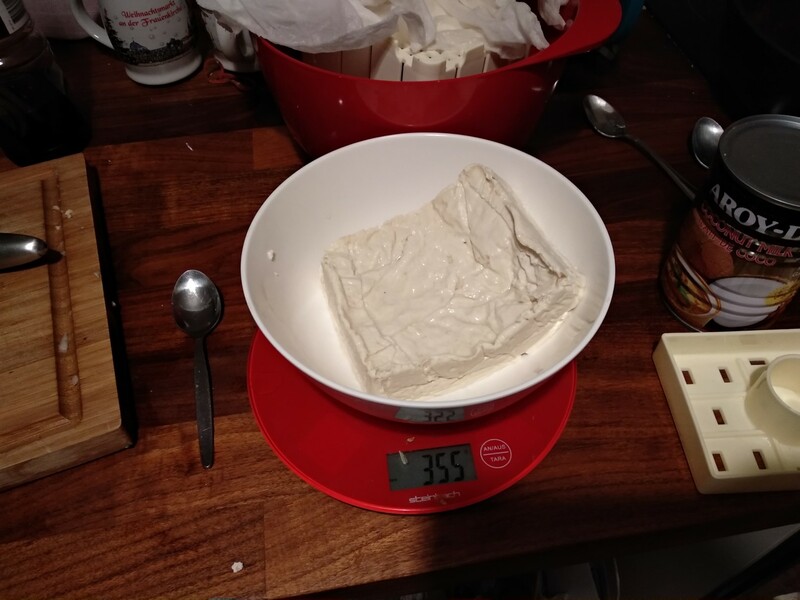 A couple weeks ago I made tofu. 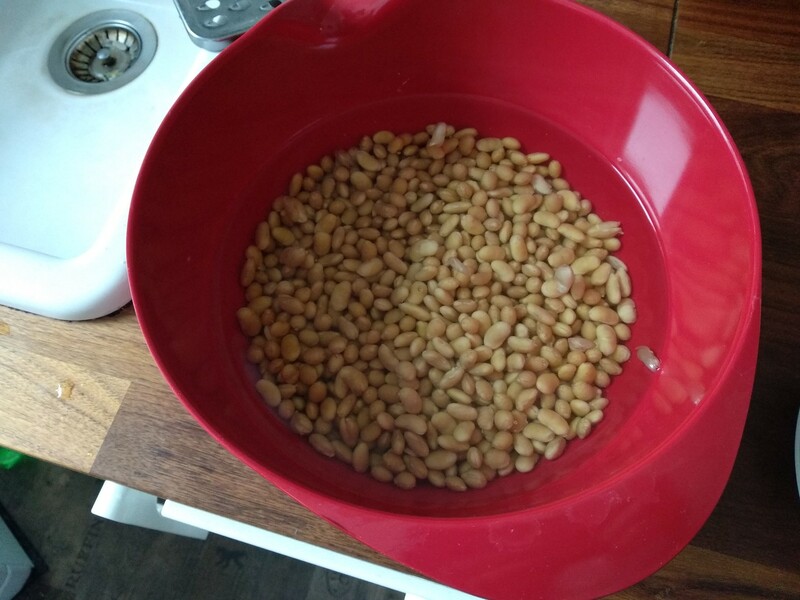 I just learned you can make tofu from virtually any bean using the same process. And I have a collection of dried beans I should use up. Things are gonna get wild. Relatively, I mean. It&apos;s just tofu. "It should be a disappointment. In Norway you are not supposed to look forward to your lunch." So I cooked the tofu I made yesterday. It was actually quite good. It had more sweetness than store-bought tofu. I might make it again now that I know all the steps. It probably won&apos;t take nearly as long as last time. Also... I should probably find a better way to photograph the food I make. Poor kitchen lighting isn&apos;t doing me any favours. Trust me, it actually looked quite tasty. 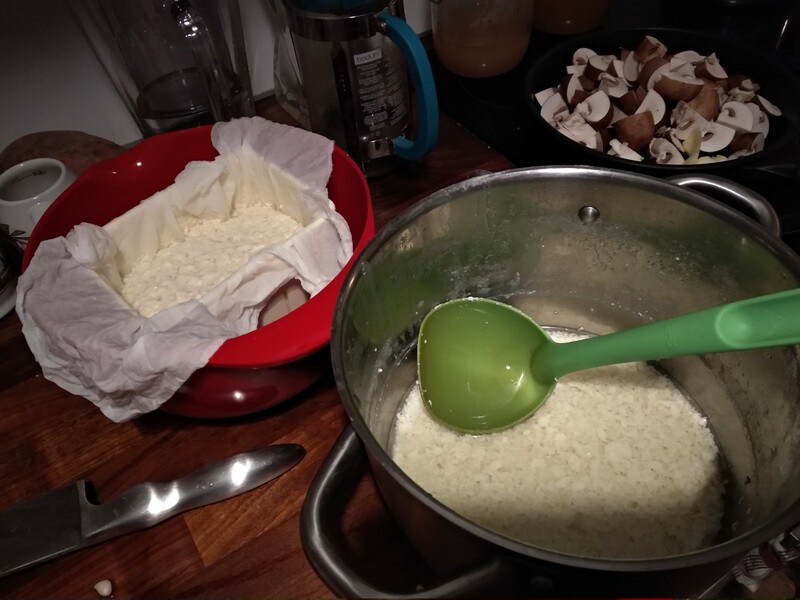 The whole process took a long time and though I think I can do it faster in the future I&apos;m grateful that industrialization means I can get tofu for two euro at the store instead of half a day&apos;s labour for 320 grams. After that I had to coagulate the soy milk with lemon juice. 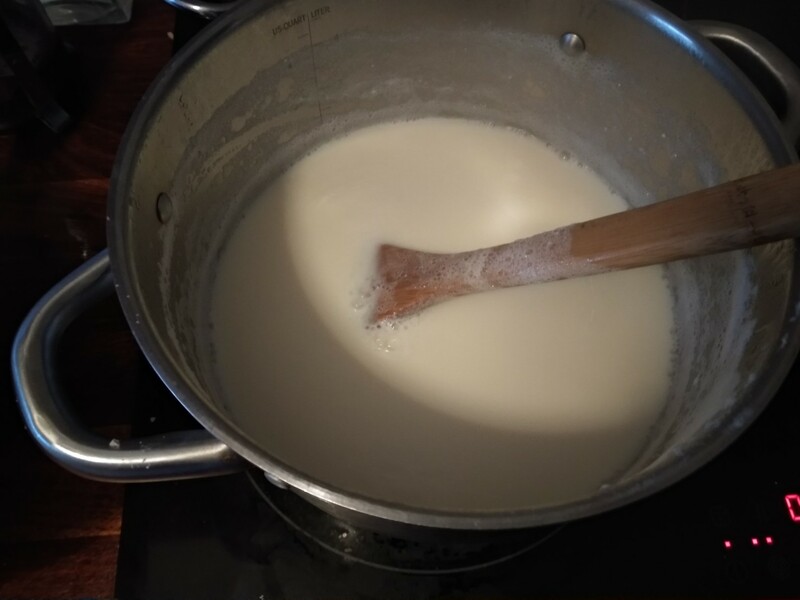 The process for making tofu is exactly that of making cheese from cow&apos;s milk. 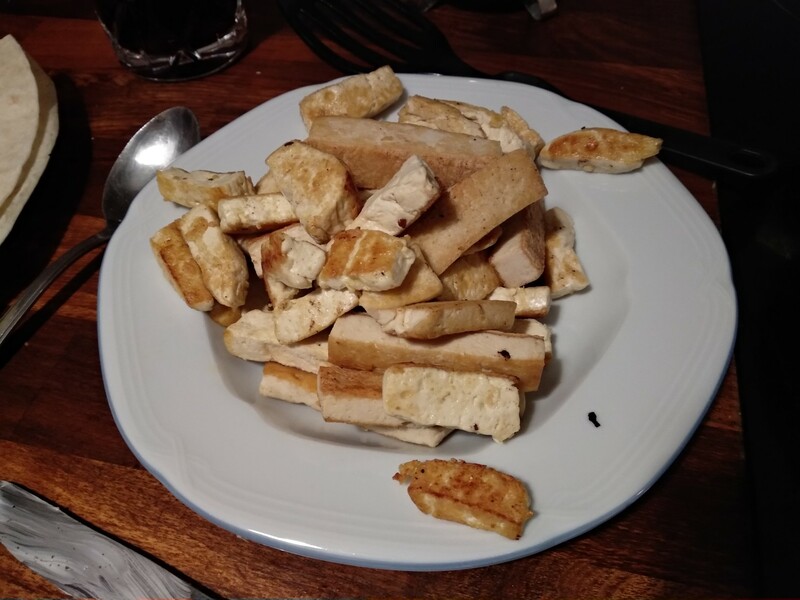 Haven&apos;t had much time for experimental cooking lately but today I made tofu from scratch.